A Sunday or two ago my wife and I decided to take a walk near the water front in down town Kingston with our little one. The night was calm and cool and it was a perfect evening to be out and about downtown. We had no destination in mind aside from some ice cream at white mountain and we ended up strolling along the water front near confederation basin. Once along the shores we were greeted by a pretty large flock of mallard ducks interdispersed with some geese and other birds dabbling in the harbour. This excited my little one to no end and as she played I realized how often I have overlooked these birds. Bobbing the in waters of the harbour, chasing each other around or dabbling for food. They seemed like part of the background or worse, are considered nuisances because of the amoutn of feces they produce. On an easy night like tonight though, they seemed to appear just as beautiful as the wild ones I encounter in the blind. 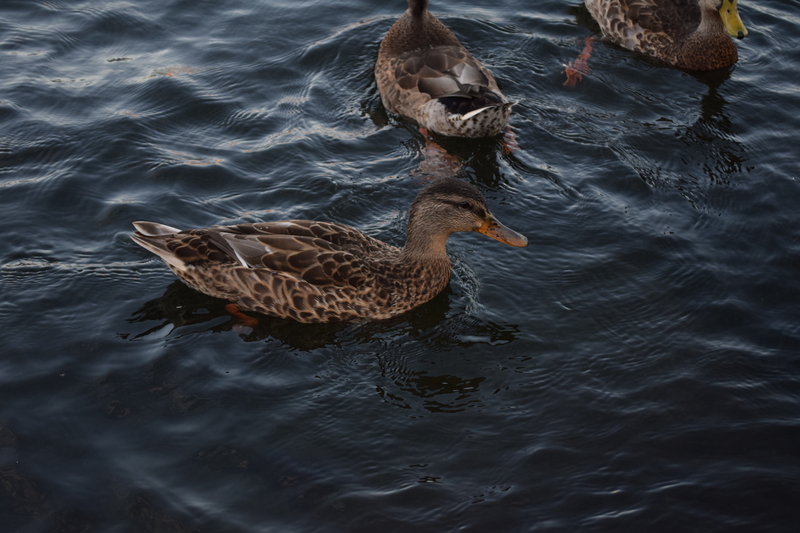 As my little attempted to feed the quacking mass my thoughts drifted towards these birds and how such vibrant things could exist in the middle of a city. Upon further reflection I marvelled at these birds and that no matter how much we change the landscape, destroy habitat, pollute our environment, life still seems to find a way to survive and flourish. Mallard ducks and Canadian geese for that matter, are a prime example of this as they seem to flourish when living near humans. 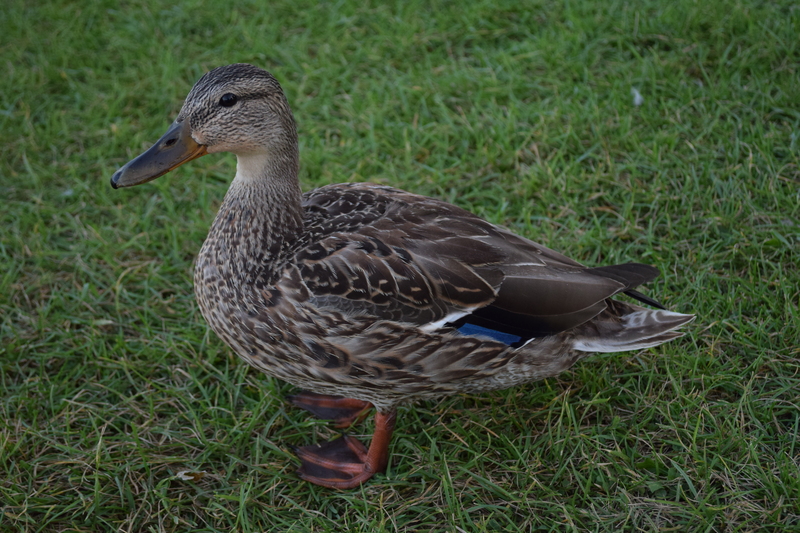 While enjoying the relative safety a downtown park brings, the ducks and geese are provided with ample food from passers by, grassed lawns and number of other plant species that thrive in our harbours. We have essentially created a custom fitted, bread laden paradise for these little creatures. Although its not their naturally intended setting, its nice to see that in this case, destruction of natural habitat has actually ended up having the exact opposite effect from what would be expected. Further, its nice to have this aspect of nature still prevalent in our downtown cores. Perhaps next time folks get upset about the amount of duck and geese poop on their lawn or in a field we should take a moment and imagine what it would be like if they weren’t there. 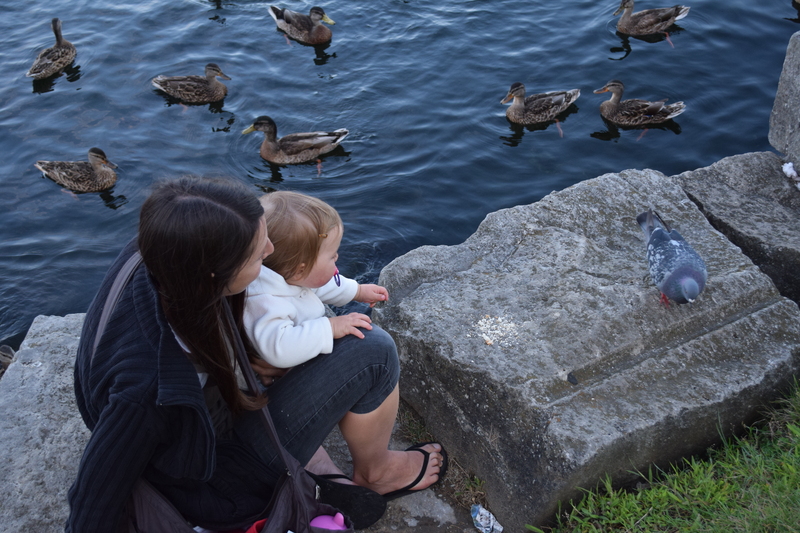 I wonder what my little one could feed during our Sunday evening walks then….. 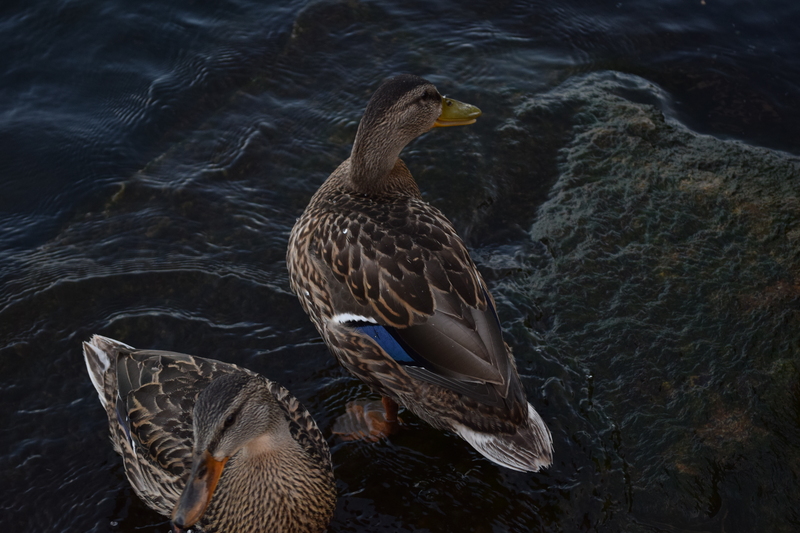 This entry was posted in Featured Flora and Fauna, Photography and tagged canada geese, Ducks, Ducks in Kingston, Geese, Kingston, mallard ducks, Urban Wildlife. Bookmark the permalink.